EDU MANZANO’s last primetime soap was ‘Bridges of Love’ at ABS-CBN. He’s now doing “Alyas Robin Hood” on GMA and he says he has long been missing doing action scenes. 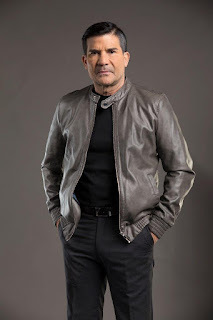 He plays the role of Sen. Emilio Albano, a politician who seems to be very good to the poor, doing a lot of charity works, but is actually a scheming and corrupt public servant. So he’s back to being a villain?